Multicultural agency Muse Communications recently launched the new City of Hope Hispanic brand campaign, designed to spread the word of the cancer center’s ethos “The Miracle of Science with Soul” to the Spanish-speaking community. The campaign consists of television, digital, and radio ads that balance the scientific acumen of City of Hope’s staff and the level of compassionate care they bring to all their patient interactions. 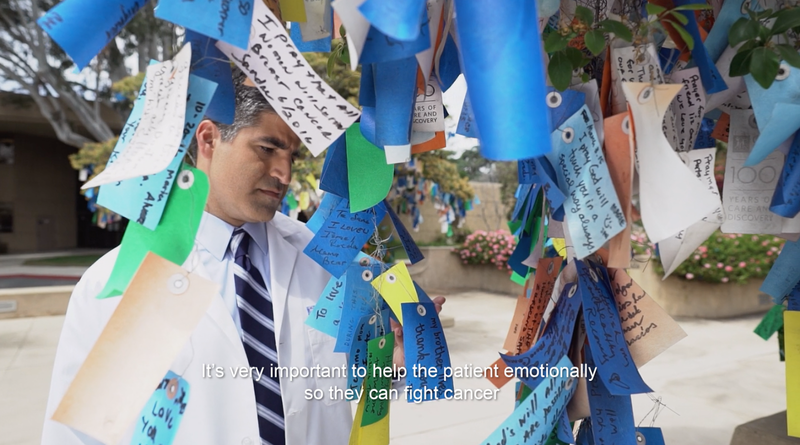 The ads aim to enhance City of Hope’s place as a leading cancer research and treatment center by connecting with communities via leading ethnic media outlets and community gatekeepers and influencers. As City of Hope’s Hispanic AOR, Muse accomplished this by focusing on three City of Hope doctors: Alex Herrera, M.D., assistant professor in the Department of Hematology and Hematopoietic, Joanne Mortimer, M.D., director of Women’s Cancer Program and Rahul Jandial, associate professor, division of neurosurgery in the Department of Surgery. By interweaving shots of patients at the park, at the beach, on the hospital grounds, and doctors interacting with patients and staff, the spots build a sense of community and compassion underneath the science and research. Humanizing the cancer center and its staff, and sharing how much they care about not just adding years to their patients’ lives, but about their quality of life, gives an air of comfort not often associated with hospitals. City of Hope - Herrera M.D. Spanish Version (English Subtitles) from Muse on Vimeo.